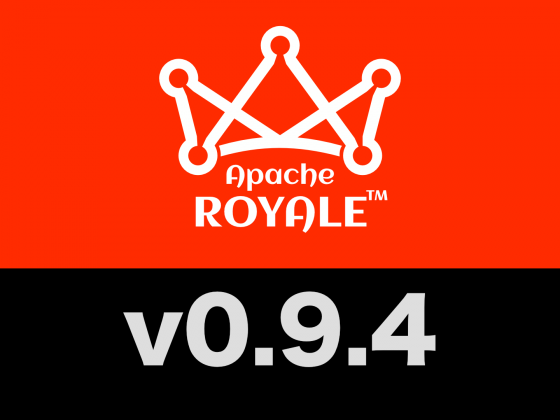 Apache Royale™ - Code once. Run everywhere. 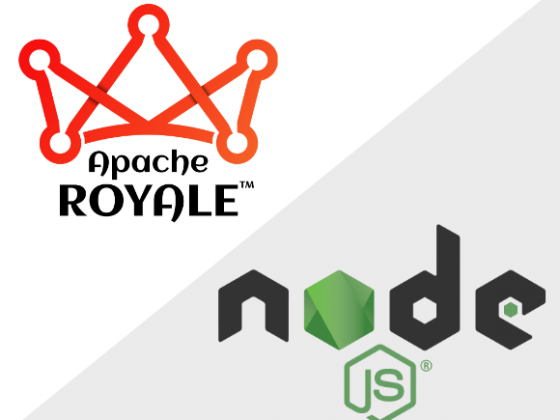 Apache Royale™ is a productive, open-source frontend application technology that lets you code in MXML & AS3 and output to different formats. Design and code in enterprise level languages and tools to ensure the level of quality your applications and clients demand. Maintain your knowledge and workflows intact for years to come and let Royale provide you with the right output you need. Royale Apps are light and performant thanks to the PAYG (Pay As You Go) philosophy combined with their composition architecture (Strands and Beads). Code in a robust OOP language (AS3) and build your interfaces in a fast declarative XML language (MXML). Royale support AMF communications a performant way to share object graphs with your backend of choice. A great Open Source Foundation ensures long term evolution with the technologies you choose far beyond market and corporate trends. Jewel is a new UI component set, created with design and responsiveness in mind. Apache Royale provides themes to use with Jewel out of the box. Jewel themes support up to 12 colors, light/dark, and flat/normal modes. After global installation, the following compiler tools will be available for you to use: mxmlc, compc, asjsc, asjscompc, asnodec, and externc.